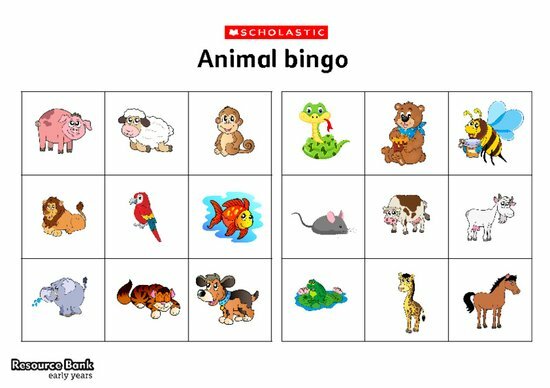 Hand out animal bingo cards. Put an animal picture on each square, making sure that none of the cards has a matching combination of animals in a row. Make different animal noises; if a child has that animal on their card they put a counter on the square. The first child to fill a row shouts Bingo! Encourage the children to count how many animals have counters on them, and how many are left.